Providing education and protection to the Maasai people, one of the most indigenous tribes in the world. Creating a bridge for different communities with different cultures to include pure love, worthy trust, and voluntary cooperation. Establishing a resource center where communities can learn and inspire one another through educational programs founded on the principles of the Seven Pillars Foundation. Creating a “Stories Café”, where the Maasai can research and document their families histories online for future generations. 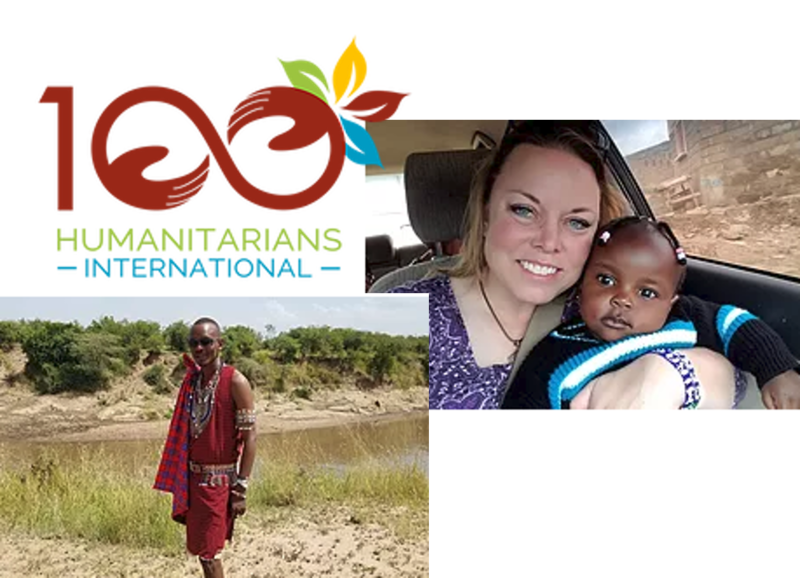 Establishing a children’s haven, where children from the local Maasai community and children from 100 Humanitarians expeditions can have a once in a lifetime experience learning from each other. A water well up to 150 meters deep with heavy-duty pump — with ability to connect to pipeline to each of the nearby villages. Hot water, electricity/solar and satellite internet for free. Library and Internet stations — plan for 10 computer stations. Computer stations equipped with Microsoft Office suite and training materials to obtain certifications. Computer tutoring session for different level of computer knowledge using local tutors and mentors from the U.S.
A timeframe for children to play educational computer games. Help with online business, for people who want to sell online. A variety of job skills seminars depending on community need, including business techniques, building long lasting manyattas (huts) with clay or concrete, pump maintenance for water wells, basic electric wiring, plumbing, etc. A program to create small business initiatives for women from jewelry making to order, online selling, for tourists design, and sewing things like shuka fabric pillow and scarfs. Movie nights for different age groups of children, including cultural documentaries, animal videos and motivational videos from mentors around the world. A MAASAI MUSEUM to promote cultural heritage with historical Maasai items, with a cultural guide and a movie translated into different languages. It will also include family lineage and history of various families for easy reference if the future generations want to learn about their ancestors. Health and education seminars with guest doctors and nurses from visiting groups. Guest houses to be used for local accommodations, expeditions from around the world, and study abroad programs. This holistic approach to educating children, along with their families and communities, ensures practical skills will be taught and applied in a way directly affecting the welfare of the Maasai people. The cost of the first cultural center is $69K and money is still needed. To contribute to the construction of the cultural center, click on this link. A smaller, but equally important focus is educating Maasai children. 100 Humanitarians is currently contributing to school fees for 18 children in both Primary and Secondary School. The typical school fees for a Primary School child range from $50-150 per year depending on the school. For Secondary School it averages $500-600 per year. The organization’s goal this year is to raise $5000 for school fees, and money is still needed to help these children complete the school year. You can make either a one-time or monthly donation by clicking on this link. 100Humanitarians began with a question: What can 100 ordinary people do to make a difference the lives of others? If you’ve ever asked what you could do, now you know. Eric A. Hanushek, Dean T. Jamison, Eliot A. Jamison, and Ludger Woessmann, “Education and Economic Growth,” Education Next, Spring 2008. Josh Zumbrun, “Many Students Around the World Can’t Read or Add, World Bank Says,” The Wall Street Journal, 26 September 2017. Stephen DeAngelis, “The Global Literacy Collaborative Demonstrates the Power of Technology-assisted Education,” Enterra Insights, 20 February 2014.